Born in Pontiac, Illinois on January 17, 1878, Harry Bay became an outstanding prep sprinter for Peoria High during the closing years of the 19th century. While records of that era are not totally reliable, IHSA track records indicate that Bay led Peoria High to a 2nd place finish in the 1897 state meet. He finished 2nd in the 50 yard dash, 3rd in the 100 and 2nd in the high jump. Peoria High records show he also won the 220 low hurdles in a state record time of 29 seconds fiat at that meet. Records agree that Bay also medaled at the `96 meet. 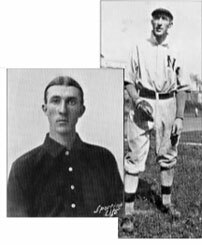 By 1901 Harry Bay was playing center field for the National League Cincinnati club. He appeared in 41 games and hit .210. Traded to Cleveland of the American League, Bay hit .293 during the 1902 season and stayed with Cleveland for 7 seasons. a .277 career batting average, 413 runs scored, 730 hits and 169 stolen bases. He also held a major league record, having caught 11 fly balls in one 9 inning game. That record stood until 1929. Bay was clocked at 3.5 seconds getting from home to first base. theater before "talkies" arrived. Bay spent several years on the vaudeville circuit teamed with Guy Kibbee. 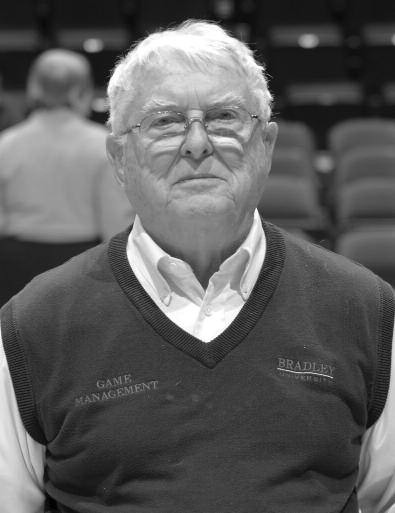 Well connected politically, Harry Bay served a long stint as secretary to the Peoria fire department and then finished his working career as a license examiner for the Illinois Secretary of State office. On March 19, 1952, Harry Elbert "Deerfoot" Bay died, at age 74 at his home at 108 Baldwin Street, in Peoria. Here's an excerpt from Kenny Jones' column at the time of Bay's death. "We vividly remember an appearance of Harry at an "old timer's day" program Woodruff field about twenty years ago. Dressed in an old uniform, Harry took a turn at bat and hit a roller to short. Harry hadn't taken more than a few strides before the crowd realized that they were in for a special and unheralded treat. Bay, still showing the light-footed grace that he must have shown in the big leagues sped down the basepath with amazing speed for a man of his age. He beat the throw and must have thoroughly enjoyed the hearty applause the fans gave him for an unexpected performance."